CALIFORNIA (AUTO) COLLISION INSURANCE COVERAGE: What is California collision coverage contained in an auto liability policy? California collision coverage will pay for the repairs to a vehicle if the owner is the one who is at fault in the accident. (Ideally, if the other party is at fault in the accident, their property damage liability insurance will pay for the repairs to the car.) 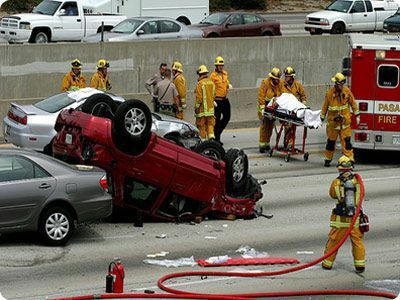 Collision coverage is usually the most expensive type of auto insurance. Thus, collision coverage will usually pay for any damage to the vehicle caused by the owner. ?Is there a minimum amount for my medical bills in order for them to be covered by my insurance company after a car crash in San Diego? ?CALIFORNIA AUTO INSURANCE: In California, who or what parties are usually covered under a California auto insurance liability policy? ?CALIFORNIA CAR INSURANCE: In California, which vehicles are normally found to be covered under a valid California auto insurance liability policy?